Day 4 in Vermont started with us driving towards Quechee Gorge near Hartford. 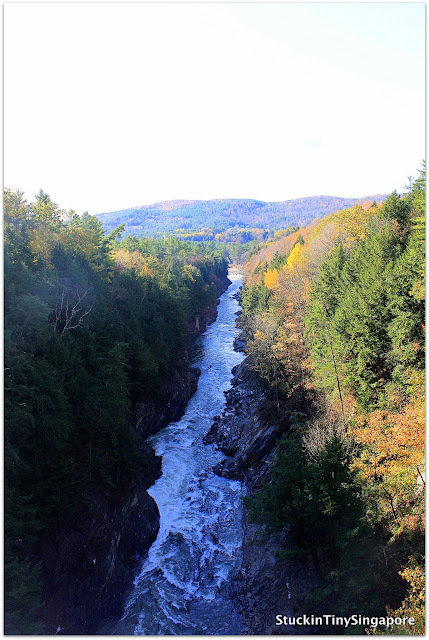 The falls is known as "Vermont's Little Grand Canyon. After visiting the falls, you can always check out the quaint little town of Hartford. There is an easy trail that takes 1.4 miles out and back and gives you a great view of the gorge and also the Dewey Mill Dam. There is parking at the Dewey Mill Pond. 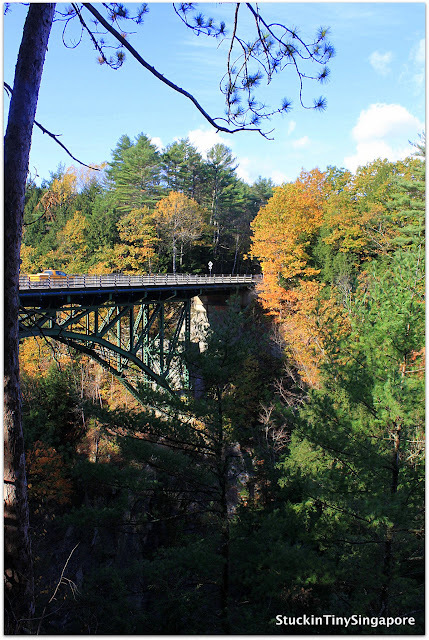 You start by walking straight beyond the dam toward the Quechee Gorge Bridge. There are benches and picnic area if you choose to stay awhile. Another that you have to head to the VT 4 highway bridge to get a view of the gorge from overhead. It is a jaw-dropping 165 feet drop to the Ottauquechee River below. After your finish the trail, across from the bridge is a visitor center where you can check out for the history of the area and details of other attractions too. The next stop is Woodstock, Vermont. Follow us on the next blog post. See you soon!! !